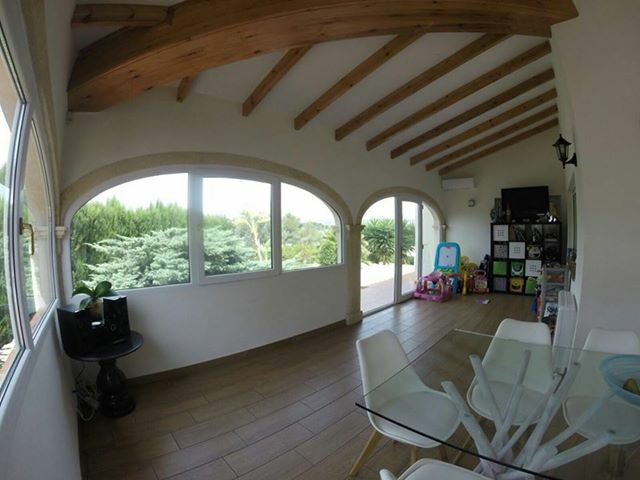 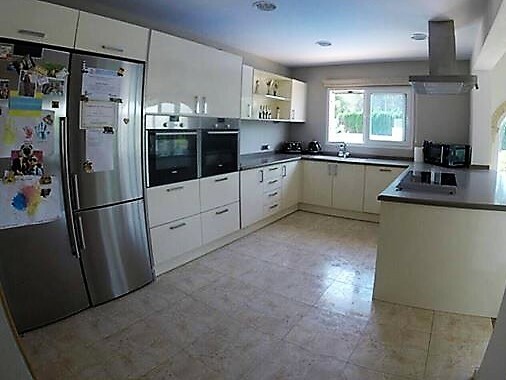 An exceptionally spacious, modern villa of 340 sq mts, close to Javea beach and amenities. 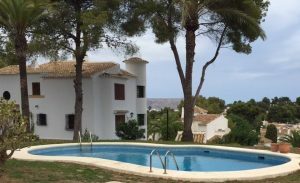 Situated in a quiet area and facing south west, this lovely villa has a partial sea view from the upper level and also mountain views. 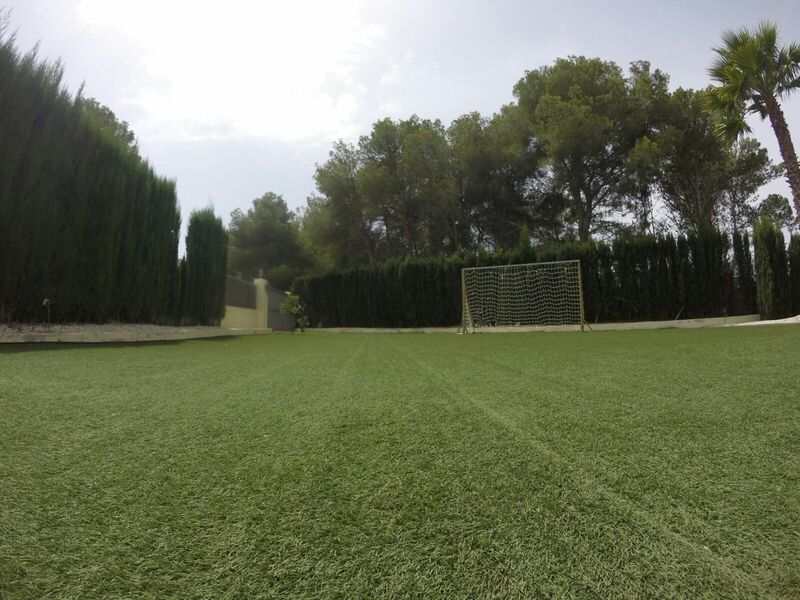 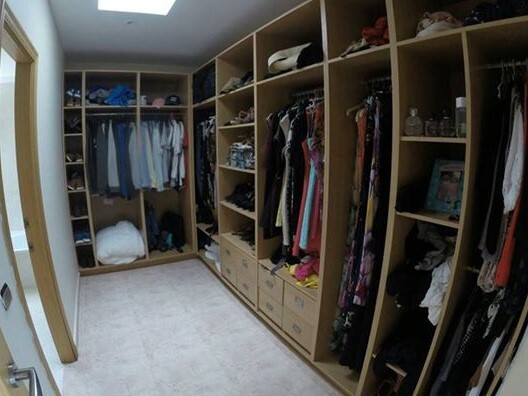 The plot of 1530 sq meter is flat and fully fenced, offering a good deal of privacy. 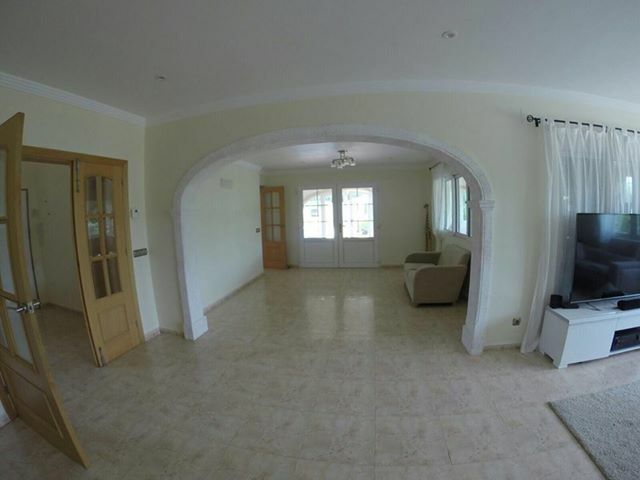 The accommodation, on 2 levels (plus a huge under-build incorporating the large garage, storeroom and bodega accessed by an internal, marble stairway,) comprises :- on the lower floor, wide entrance hall leading to an enormous lounge, dining area and beautiful open plan kitchen with separate utility room, naya, 2 bedrooms, shower bathroom and marble stairway up to the upper level, comprising :- Master bedroom with an en-suite bathroom with bath and shower, walk-in wardrobe, 2 further bedrooms, one with an en-suite shower bathroom. 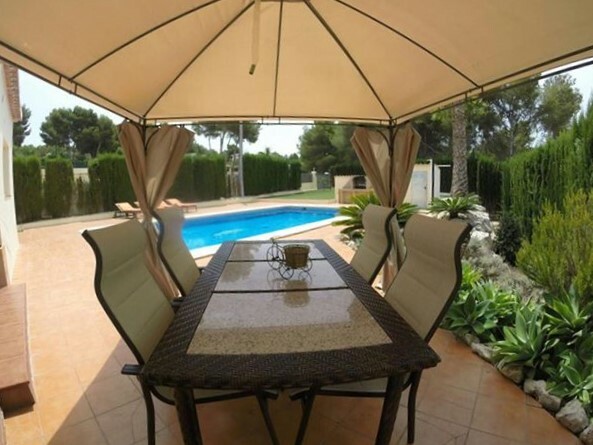 Outside the well maintained plot contains a 10 x 5 mt swimming pool with pre installed heating system, BBQ area with sink and WC, astro-turf lawn, flower beds and gravelled area. 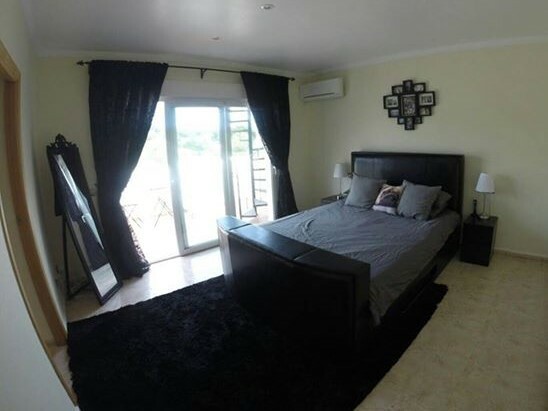 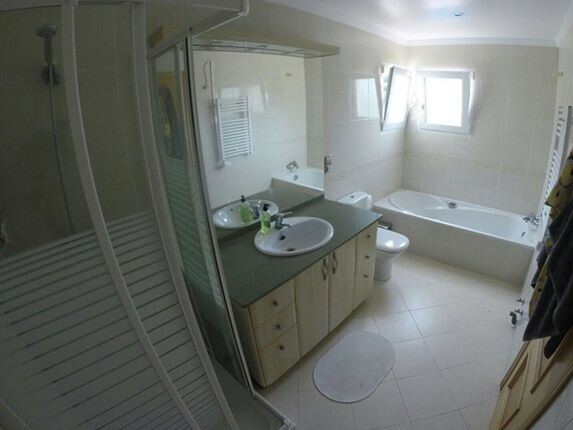 The property has the advantage of double glazing throughout, alarm, satellite T.V, air conditioning, entrance gates and secure entrance system. 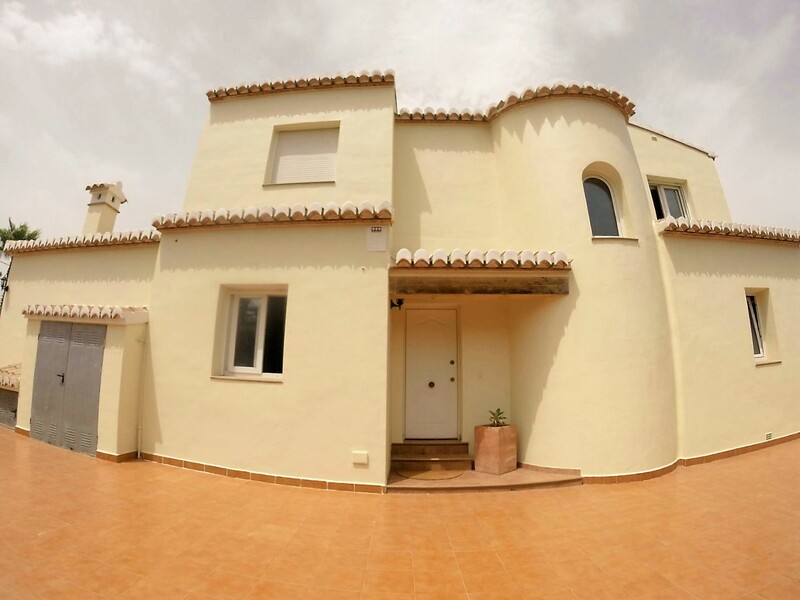 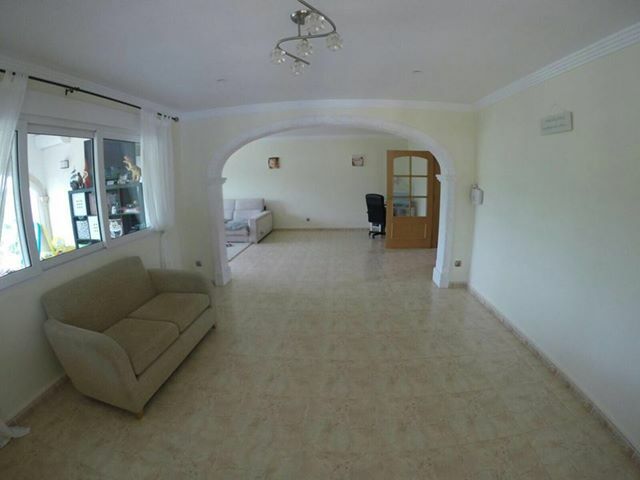 This villa is currently rented but is available for viewings and purchase.